Stanley Kubrick’s 1980 thriller The Shining will be chilling the big screen tonight at the Ron Robinson Theatre at 7pm. Based on the Stephen King novel, The Shining was directed by Kubrick from a screenplay he wrote with Diane Johnson. Jack Nicholson is appropriately cerebral and scary as he alternates between wrestling with writer’s block and wielding an ax. Shelley Duvall, Danny Lloyd, Scatman Crothers, Barry Nelson, Anne Jackson and Joe Turkel are also in the cast. Set largely in a desolate hotel, the movie was a chore for the actors due to the incredibly long hours of shooting each day. As a director, Kubrick was overly exacting. But the result of the hard work comes through on the screen. Though he was excruciatingly demanding on Duvall, Kubrick took cares to make it a pleasant filming experience for six-year-old Lloyd. It was not until a decade later that Lloyd realized it had been a horror film, because Kubrick and others kept him out of the way during the more violent scenes. See it all on the big screen tonight. Roman Polanski’s 1974 film classic Chinatown will be shown tonight at the Ron Robinson Theater as part of the Arkansas Times Film Series. This is presented in conjunction with the Little Rock Film Festival. 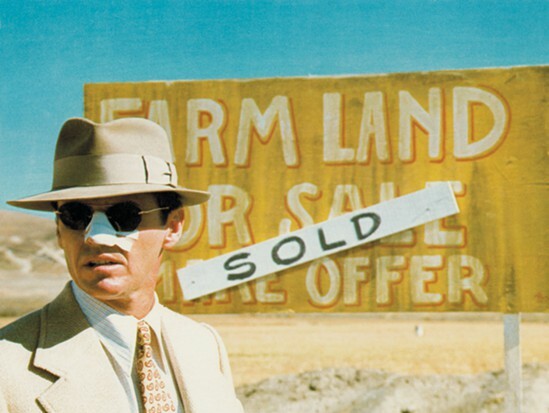 The quintessential L.A. noir and the best role of Jack Nicholson’s career, the movie was named the greatest film of all time in a 2010 critics poll by The Guardian. Roger Ebert called it a “tour de force” and “not only a great entertainment, but something more, something I would have thought almost impossible.” An atmospheric, totally engrossing mystery involving water and sexual dysfunction, this is rare opportunity to see the classic on the big screen. The screening will begin at 7pm (January 15). Tickets are $5. In addition to a starring turn by Nicholson, the film features searing performances by Faye Dunaway, John Huston, Perry Lopez, John Hillerman, Darrell Zwerling and Diane Ladd. Nominated for eleven Oscars, it won the Best Original Screenplay for Robert Towne’s haunting tale.